Seventy outstanding professional singers and players will gather in Southwell over the August Bank Holiday weekend (24th to 28th August) to take part in the fourth annual Southwell Music Festival. Festival Founder and Artistic Director, Marcus Farnsworth says: "I am delighted that once again we have attracted some of the most exciting performers from across the UK and Europe. Members of this remarkable ensemble take part in all the main concerts and give the Festival its special character. "The skill and enthusiasm of these talented colleagues are a key reason for the Festival's growing reputation." The centrepiece of the programme will be an all-Mozart orchestral and choral concert in Southwell Minster on Saturday 26th August at 7.30pm featuring multi-award-winning pianist James Baillieu performing piano concerto No. 21 in C major K467. The concert will also include a performance of Mozart's Great Mass in C minor K427 with the critically-acclaimed soprano Sophie Bevan, a regular at the Royal Opera House and English National Opera, and mezzo-soprano Rachel Kelly, a recent graduate of ROH's Young Artists Scheme, as the soloists. The professional choir and orchestra will be conducted by Marcus Farnsworth. 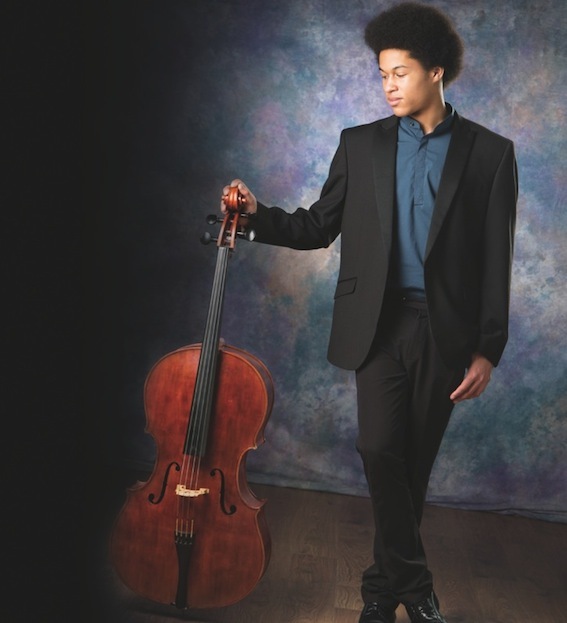 The Festival also presents a recital by the BBC Young Musician 2016 – Nottingham cellist Sheku Kanneh-Mason. Lunchtime, evening and late night concerts, and several special church services, will be held in the Minster, and concerts will also take place in the State Chamber of the Archbishop's Palace and the Old Theatre Deli. The Art of the Trio on Thursday 24th and Friday 25th at 7pm in The State Chamber will show how composers from the 19th to the 21st centuries have risen to the challenges of trio writing and in the process created some of their most memorable music. The concert will feature work by one of Britain's most exciting young composers, Charlotte Bray. Performers will include two of this year's outstanding guests – mezzo soprano Rachel Kelly and international viola player Lena Eckels. At the Minster School, following the outstanding success of last year's first Family Concert, the story of Babar the Elephant will be told with music and mask making from 10.15am on Saturday 26th August. Half the events in the Festival are free including five Festival Fringe concerts across the town with collections in aid of Beaumond House. Full programme details are available at www.southwellmusicfestival.com or in brochures which are widely available. Booking opens to the general public on Monday 15th May – online via the Festival website, by calling 0115 989 5555, or in person from the Royal Concert Hall Nottingham or the Minster Shop.